Total production of summer crops (paddy, maize, millet and buckwheat) was estimated at 6.8 million mt, a decrease of 5.63 percent compared to 2014/15 and a decrease of 5.3 percent compared to the preceding five-year average. At 6.8 million mt, the production of paddy, maize, millet and buckwheat was estimated at 4.3 million mt, 2.23 million mt, 302,398 mt and 11,641 mt respectively. The production of paddy decreased by 9.95 percent compared to the five-year average and decreased by 10.22 percent compared to 2014/15. Despite the decrease, paddy contributed to 63 percent of the total summer crop output in 2015/16. The central region produced an estimated 1.1 million mt of paddy, which was 26.9 percent of the national aggregate and the largest of the five development regions. 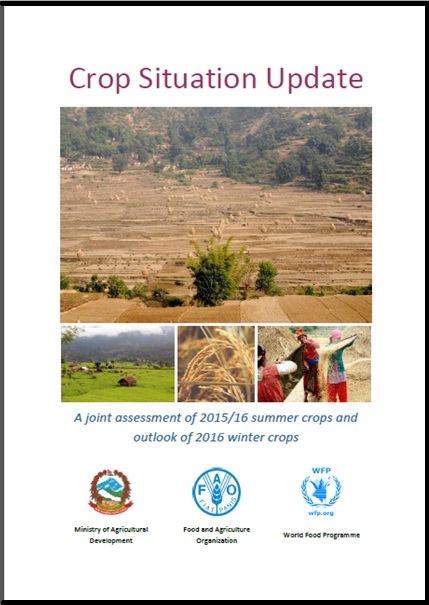 The top five paddy producing districts in 2015/16 were Jhapa, Morang, Rupandehi, Kailali and Bardiya.